Through the use of our specific, gentle adjusting techniques, chiropractic effectively corrects misalignment patterns, restores function and eliminates pain. At the same time, it also helps to restore ease and stability, and greatly improves spinal mechanics. We take a low-force approach in our treatment style, and our patients, ranging in age from newborns to seniors, love the results they achieve. Dr. Wright has earned certification in advanced Activator Methods™ and trains other doctors internationally in this low-force adjusting style. This technique has been used safely on patients of all ages since 1967, bringing relief to people for everything from back pain to headaches. Because of its gentle nature, this method has become the world’s most widely-used instrument-based chiropractic technique. The Activator Method™ uses a unique handheld instrument that delivers a precise and gentle adjustment without any twisting or “cracking.” This adjusting style provides a fast, focused thrust that’s very comfortable for the patient. The control of the adjustment also makes it much less likely that the body’s muscles will resist therapeutic change. There are hundreds of peer-reviewed research papers devoted to the outstanding capabilities of this dynamic treatment style. 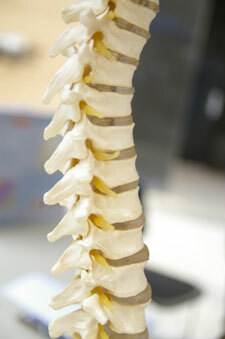 It can detect if a vertebra’s motion is too rigid and restricted. It can detect whether a spinal joint is too fluid and unstable. It helps to produce better joint mechanics and neurological function. It increases optimal nerve flow and reduces pain. The ProAdjustor works by using a very precise vibration on an injured joint that varies in intensity. It feels like a “tapping” sensation, and soft tips are used that will make you feel comfortable and secure. Our mission is to get people well and pain-free through state-of-the-art chiropractic techniques and optimal lifestyle habits. If you have an ongoing problem, we may be able to help. Contact us today and let’s get started!